Imagine it’s Valentine’s Day and you’re sitting in A40 rush hour waiting to get home to your love. You’d be lucky to average the 15 miles per hour being done by the cyclists whizzing past. However, if you were riding a sperm, you’d be going about double that speed. Yep, sperm are in a hurry. Those mighty microscopic motors can travel up to 28 mph to reach Destination Ovum. You’ve probably seen the endearing, tadpole-like images of sperm, thinking how harmless they look. But have you ever thought about what motivates a sperm? The unfair plight of the little swimmers? 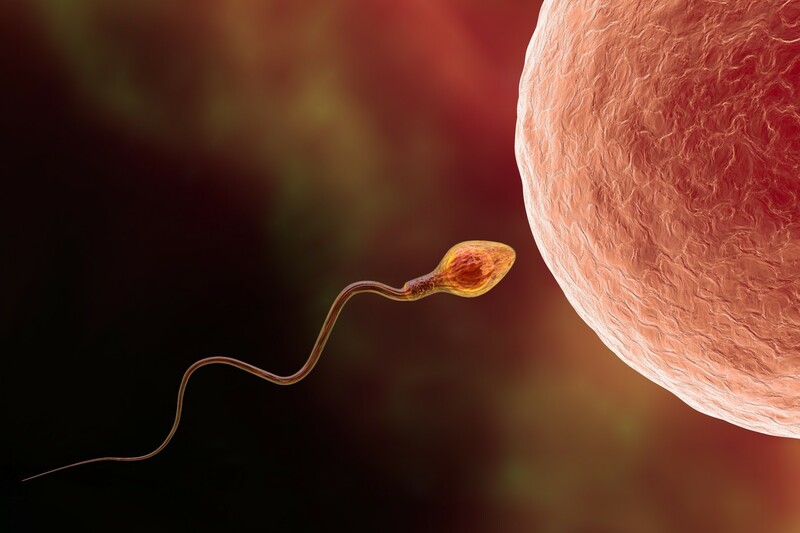 Always a sucker for the underdog I am here to set the science of sperm straight. I remember scoffing at the arrogance of man, looking at a picture of how babies were made in an old medical textbook. It showed a sperm with a fully formed human inside it – women, so insignificant that they merely played the role of vessel for the already-complete foetus provided by the ever-superior man. Of course, now we know that we do need sperm but that is only half the picture, with the equally important piece of the reproductive puzzle being the ovum. Ah the ovum, sitting like Lady Muck in her comfy little home, while the sperm jostle at the gate, eager for the starting gun to signal the beginning of an almighty race. Let’s follow the plight of Sperm A. To begin with, the odds are against Sperm A, it is one in 120 million, vying for poll position in the starting line of the vas deferens. It’s off to a flying start and it all looks too easy until WHAM! Sperm A comes to the end of the… road and finds itself slowing to a measly 0.001mph. Not only that, it is now swimming upstream in the pitch black, surrounded by acids and mucous it could easily die in. But the sperm has a tail, called a flagellum, which acts like a propeller and is joined to the head of the sperm by a battery pack full of mitochondria (the same stuff that provides energy in all your cells). Sperm A propels itself through the cervix, but then how does it know where to go? For a long time scientists thought that the ovum gave off a chemical trail – like Hansel and Gretel’s breadcrumbs – that led the sperm through the labyrinth of the fallopian tubes to the ovum. The most recent research suggests that the ovum triggers a flood of fluid along the little bristles, or cilia, that line the fallopian tubes. Just like a salmon, Sperm A is tailor-made to swim upstream, and uses the head-on currents like lights along a landing strip leading straight to destination ovum. After all that hard work Sperm A makes the ultimate sacrifice and gives its own life, ramming head-on into the ovum. It ejects an enzyme that fuses its head to the shell of the ovum. Once fused, its final act is to drop its payload of genetic information and bingo! A new life begins. Happy Valentine’s Day folks.